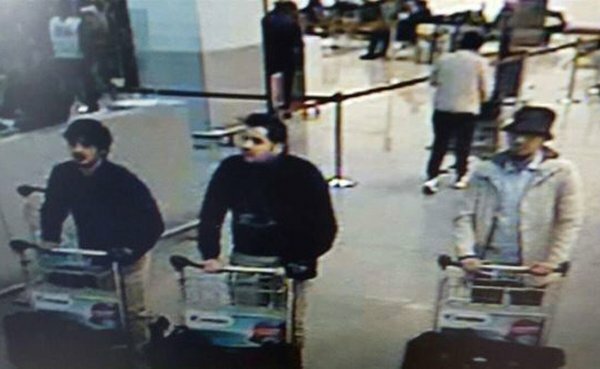 Twilight Language: Brussels Attack Predicted? On this Twilight Language blog on March 10, 2016, I wrote "there is a rumor making the rounds," that something big, something conspiratorial was targeted to occur on "the 22nd March 2016." This was being transmitted "in a global predictive fashion." 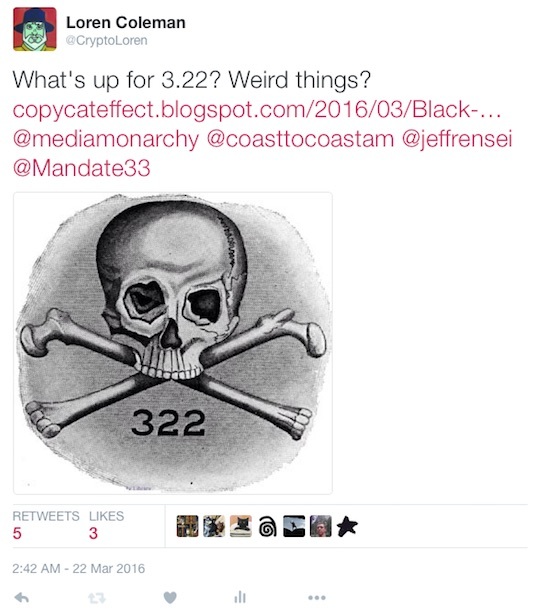 On 3.10.2016, I asked, "Will anything special happen on 3.22.2016?" In America, we write this as 3.22. 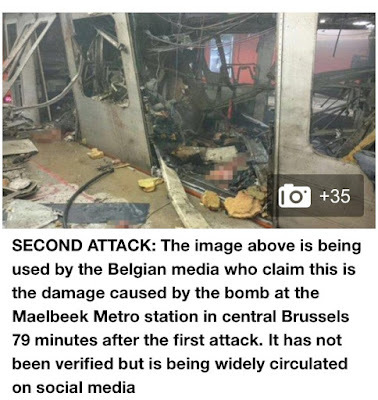 In Europe, it is 22.3. A series of consequential events did take place today. 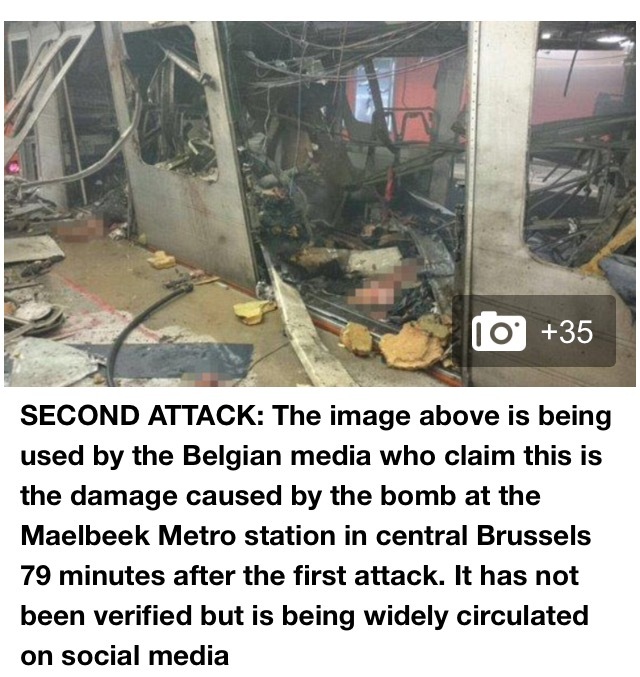 There has been major terrorist bombings in Brussels, Belgium. 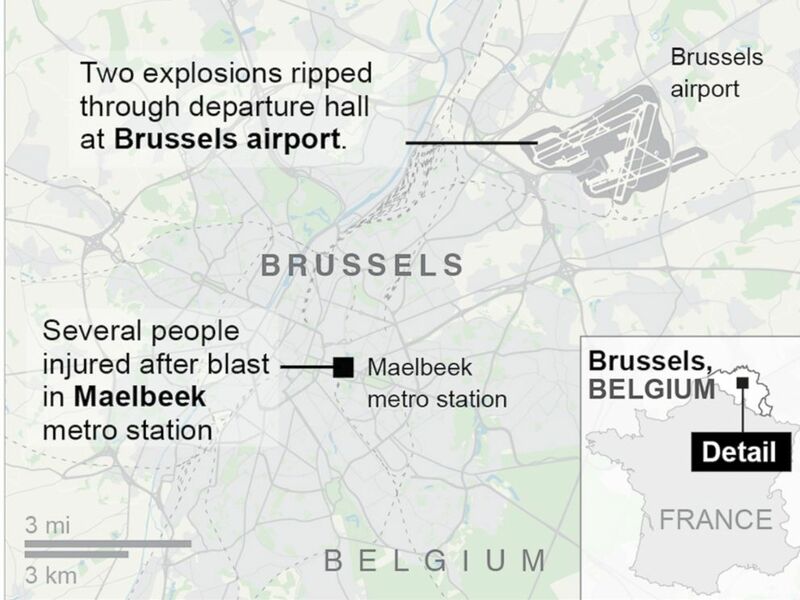 The number of the dead is reported to be 34 at 9 AM EDT, and over 170 injured. 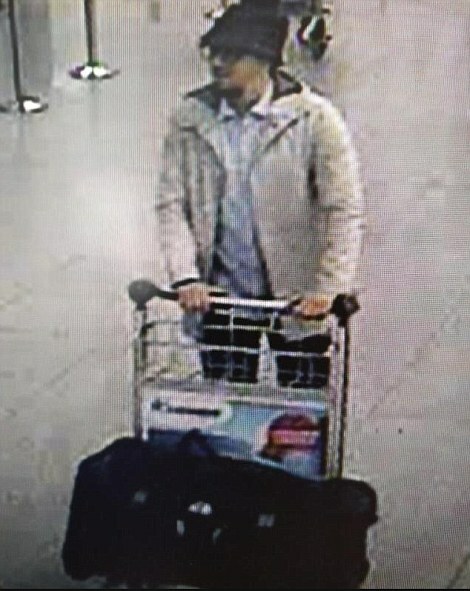 At Top: (1) The prime suspect in the airport bombing. 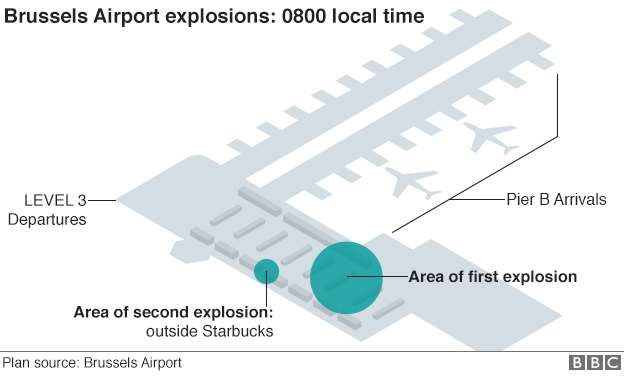 (2) People run away from an explosion heard inside Zaventem airport in Brussels, Belgium. 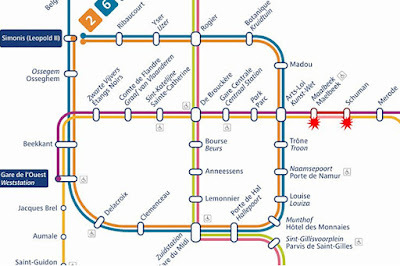 Zaventem: The old spelling of the municipality's name is Saventhem, but the oldest notation of Zaventem is Saventa, which dates from records of 1117. There are several hypotheses on the meaning of the name. One of them refers to the seven pools or small ponds that existed in the area during medieval times. Another one refers to small ponds in a sandy environment (sabulous clay). Others interpret the name Zaventem as a reconfiguration of zeven tommen [meaning seven (Gallo-Roman) tumuli or burial mounds] or zaaivelden (meaning field for sowing). Beginning at 8:00 AM (local Brussels time; 3:00 AM EDT-USA), the first explosion occurred at the airport. 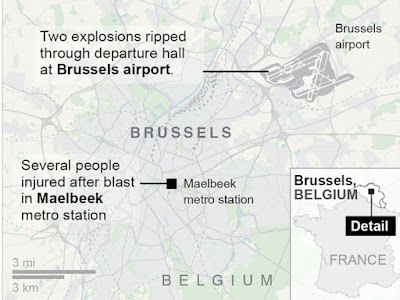 What followed was multiple explosions at the airport and Brussels' Maelbeek Metro Station. 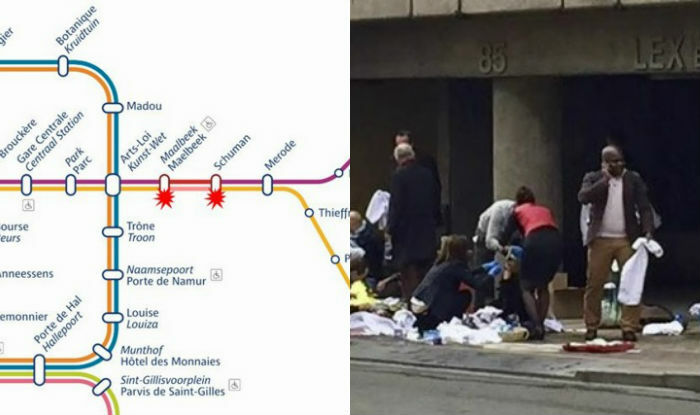 The Metro, according to local observers, is "literally" underneath the offices of the European Commission and the Council of European Union. 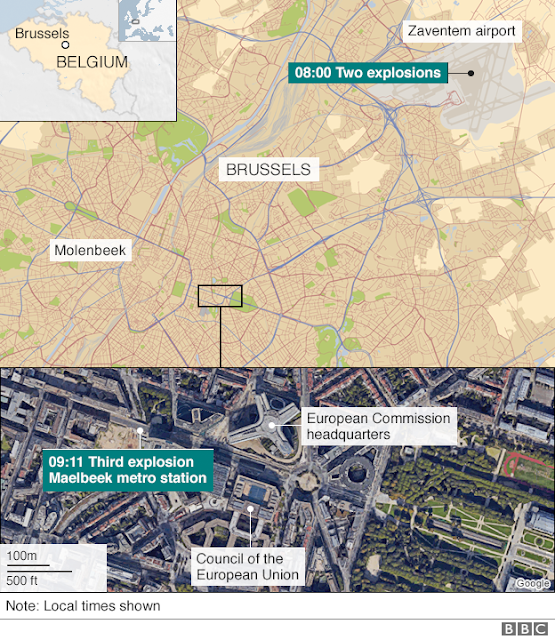 The name Maalbeek, (meaning mill stream), comes from the Dutch words beek (meaning stream) and maal (meaning to mill). Molenbeek has the same derivation. 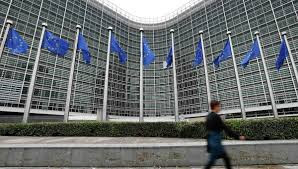 In French usually the old spelling Maelbeek is used. The airport suspects. Note the single black gloves on the two to the left. Skull and Bonesman John Kerry made a statement on the attack. 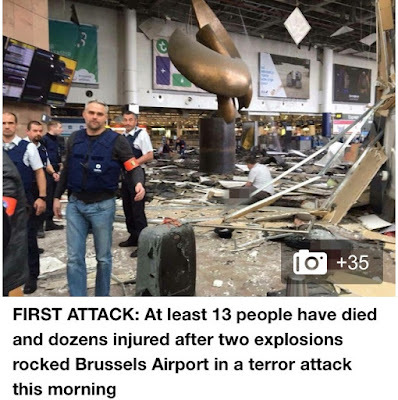 Or as one conservative site noted, "John Kerry Condemns Brussels Attacks, Never Mentions Islam." 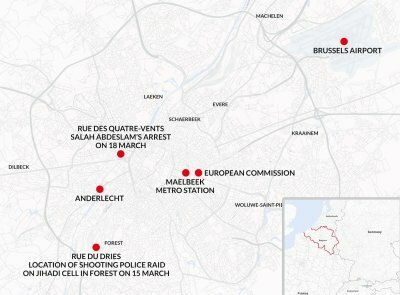 The first attack occurred at 8 AM Brussels time. That would have been 3 AM Eastern Daylight Time USA. I woke up in the middle of the night, and, as you can see from the time stamp, sent out the following tweet at 2:42 AM EDT. See also, a summary of other predictions made here. For more on the Dangerous Minds article about predicting events, see "The Man Who Predicted The Aurora Shooting" at TL and the original Dangerous Minds article of 9.17.2012. Last night's episode of Gotham was titled "Mad Grey Dawn". 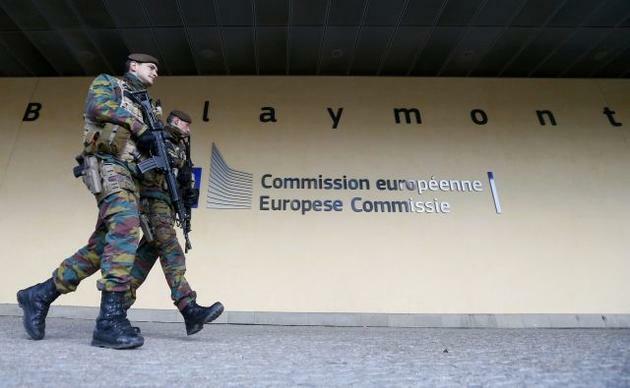 "ISIS has explicitly stated that its goal is to eliminate what it calls the “gray zone,” the space within which Muslims are accepted in the West." @Daniel Sale nice catch! Gotham is often loaded with Twilight Language. Also on Gotham: Trident Intercontinental Shipping. From the Gotham Wiki: "Trident Intercontinental Shipping was used by associates of the "Dollmaker' character to transport abducted children to an unknown location overseas." 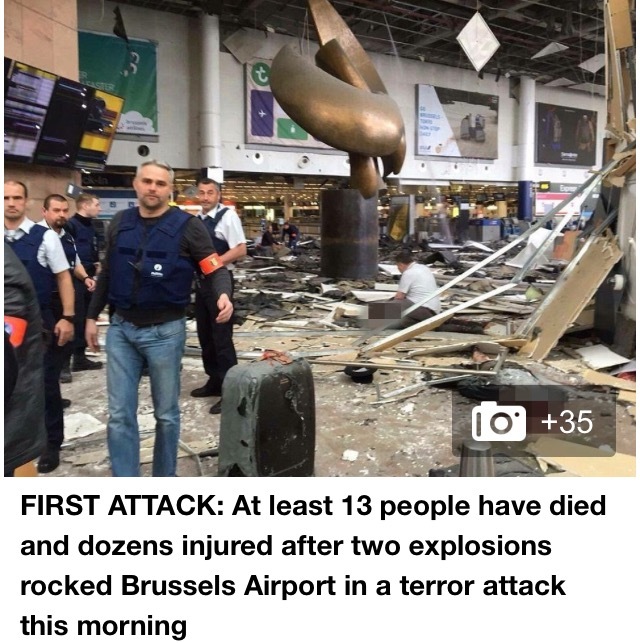 Erdogan said, 'there is no reason why the bomb that exploded in Ankara cannot explode in Brussels.' "
With his name being Mason Wells, surely there is more Twilight Language to uncover about the incredible terror bombing adventures of this 19 year old Mormon missionary! 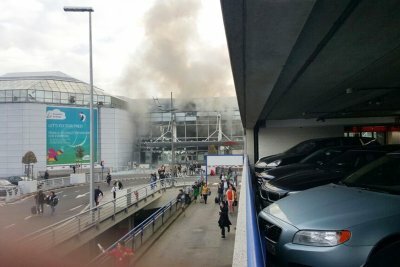 This morning, two American victims of the Brussels bombings were identified as a brother and sister with the names Sascha and Alexander Pinczowski. Lovely Tom......My daughter's name is Caitlyn and my ex-husband's (her father) name is Todd. hmmmm.....Alexander is my oldest son's middle name......none of the other names...but on a weird note; I keep thinking about "Brother Sebastian" no clue why....did go to the restaurant when I was young and lived in Omaha....but it keeps floating through my mind......thought I'd throw that out there. 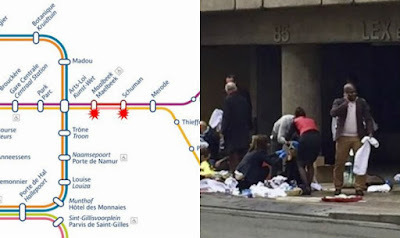 Your fellow Fortean researcher, calling himself “Recluse” at VISUP, had published two parts of an exhaustive modern historical and Fortean analysis of Belgium and its “Heart of Darkness” before the bombings and the 3rd in the aftermath. He starts with Belgian King Leopold II and his genocide of the Congo natives --- estimated at 10 million dead. Then moves on to Operation Gladio and the still unsolved Brabant massacres of the 1980s. Various underground fascist and/or terrorist groups operating in Belgium connected to Gladio, the Nazis and to the American CIA and US military including George Wackenhut and Gen. Douglas MacArthur.